A veritable “Pagliacci by way of Pee-Wee Herman and David Lynch” (The AJC), Puddles Pity Party has 286k fans on Facebook and over 76 million views on YouTube for indelible interpretations of classics by ABBA, Bowie, Cheap Trick and Queen and his unforgettable mash-up of “Pinball Wizard/Folsom Prison Blues”. You may recognize him from his recent appearances on America’s Got Talent and video collaborations with Postmodern Jukebox. 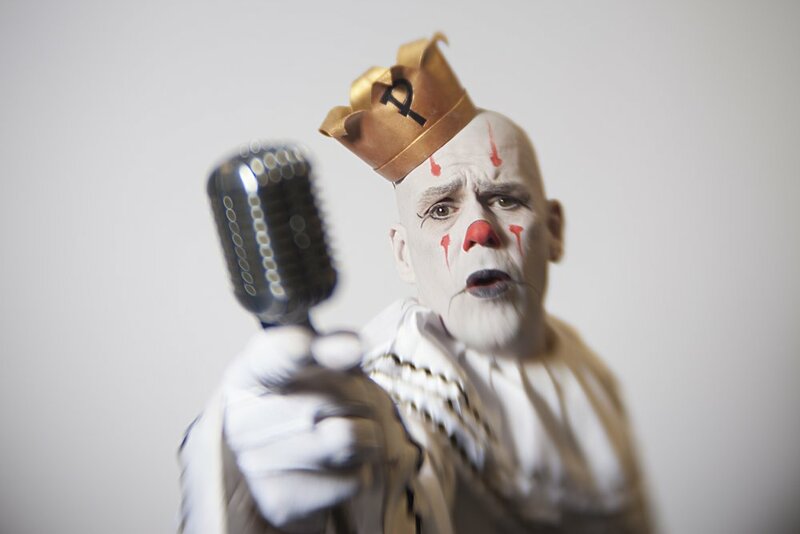 Puddles has toured extensively in the US at legendary venues like the Regency Ballroom in San Francisco, the Kennedy Center in D.C. and the Troubadour in Los Angeles. He has also performed many times in the UK at Soho Theatre London and the Edinburgh Fringe Festival.